Texas is one step closer to choking Planned Parenthood from receiving crucial Medicaid reimbursements thanks to a terrible decision from the conservative-leaning U.S. Court of Appeals for the 5th Circuit. On Thursday, the appeals court gave credibility to the deceptively edited sting videos created in 2015 by anti-abortion group Center for Medical Progress that alleged, falsely, that Planned Parenthood sells aborted fetuses for profit. In 2016, a Texas grand jury indicted CMP’s David Daleiden and Sandra Merritt on felony and misdemeanor charges, finding no evidence of wrongdoing against the organization (multiple state and federal investigations into Planned Parenthood also turned up nothing). However, a Texas judge dropped the misdemeanor charge on procedural grounds, and then the Harris County District Attorney’s Office dropped all remaining charges. Nonetheless, Texas Republicans used the videos to justify kicking Planned Parenthood out of the Medicaid program. In 2017, U.S. District Judge Sam Sparks ruled against the state, saying the state failed to provide “even a scintilla of evidence” of why Planned Parenthood should be denied funding, and admonished the state for failing to verify the accuracy or authenticity of the videos. Texas Attorney General Ken Paxton, a guy who also fights sanctuary cities and suppresses minority votes by chasing the voter fraud myth, represented the state in the case and applauded the ruling. 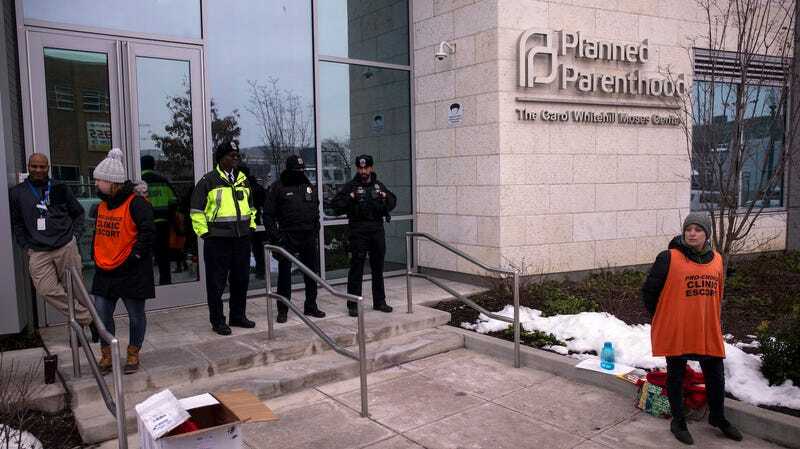 “Planned Parenthood’s reprehensible conduct, captured in undercover videos, proves that it is not a ‘qualified’ provider under the Medicaid Act, so we are confident we will ultimately prevail,” he said. The appeals court, which says that Sparks gave “no deference” to the state’s findings, has sent the case back to him for review.